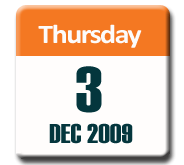 This will be the last Business Owners Forum event for 2009 – and we have brought the date forward from the usual third Thursday of the month to avoid the worst (and the best!) of the silly season. The December Business Owners’ Forum will feature a panel discussion on “The Art of Networking”. This event will be hosted at the ElevateCA offices on 3 December from 5:30pm (sharp) to 7:00pm. Fraser Hurrell, a director of ElevateCA Limited will talk about his experience with using social media tools such as twitter, facebook and blogs to drive leads and sales. He has some good practical advice from the coalface on how to get results networking online without letting these tools become couterproductive and consume your time. Geoff Grigg didn’t follow the more usual banker’s career path from the bottom up through the ranks – he joined the BNZ as a Business Relationship Manager without the benefit of a banking network built up over the years. Luckily Geoff’s past life as a Sales Manager meant that he knew exactly how to build his business network from scratch. Geoff will share some insights and practical tips from this journey. Sarah Lochead-MacMillan, author of “The Naked Networker” says that entering a networking event for the first time can generate the equivalent feelings as attempting to socialise naked. She will give some tools and techniques to get past these feelings – and enable you to form and drive a sustainable network. *Spoiler: There will be no naked networking at this event*. Format is casual over pizza, beer and wine – and Business Owners Forums are always lively events! These events are targeted to owners of businesses with $1 million turnover and more. Business Owners Forums are supported by ElevateCA Limited, BNZ, The Bottom Line Expense Reduction, The ICEHOUSE and Webb Ross Lawyers. The ethos of the Business Owners’ Forum supporters is to give back to the business communities which support us. In line with this ethos, Business Owners’ Forum events are always free of charge.